If you are a college student looking for college essay help, you need to visit solidessay.com today. We have a well-structured system that allows every college student in any level and area of study to access any kind of help that they require; including essay writing, editing, proofreading etc. We have great pride in our customers, who we have been serving for several years and our main goal is to always deliver above their expectations. Our dedicated team of writers will always be available to you 24 hours every day and we have a sufficient number, who work in shifts so as to ensure that every hour is covered. Send in your order at any time of the day and there will always be someone to take care of it. We also have a customer care team that takes care of any queries that you may have to call in any time using our toll-free number with your questions, and get the answers ASAP. You can also use the chat window that is always active to talk to our customer support team. Every document that we will help you write will be custom written with no trace of plagiarism. We are against duplication of papers at all costs so you do not have to worry about disqualifications from your tutor due to copy pasted work. Our writers are aware of the rules governing the handling of all college essays and are keen to make sure that they meet the expected standards at all times. If you are looking for quality college essay help, ensure that you look for professional companies like solidessay.com who put your needs and interests first, before anything else. All you need to do is to visit our order page and enter the necessary details and someone will be waiting to receive it and appoint it to the available writer according to your area of study and the level that it falls in. If you need to talk to someone first and get some clarification on any matter, call the provided number on our home page and you will be assisted. 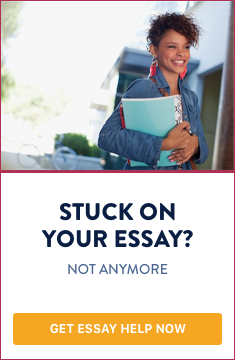 Trust solidessay.com for all the college essays help that you may need.